The Office of Consumer Financial Protection (OCFP) reflects NCUA’s heightened focus on consumer financial protection. Established in 2010, the Office has four divisions. OCFP’s Division of Consumer Affairs is responsible for NCUA’s consumer financial literacy efforts, NCUA’s consumer website, MyCreditUnion.gov, and NCUA’s Consumer Assistan​ce Center, which handles consumer inquiries and complaints. OCFP’s Division of Consumer Compliance Policy and Outreach is responsible for consumer financial protection compliance policy and rulemaking, fair lending examinations, interagency coordination on consumer protection compliance matters and outreach. Under the Federal Credit Union Act, promoting financial literacy is a core credit union mission. While credit unions serve the needs of their members and promote financial literacy within the communities they serve, NCUA works to reinforce credit union efforts, raise awareness and increase access to credit union services. NCUA also participates in national financial literacy initiatives, including the Financial Literacy and Education Commission, an interagency group created by Congress to improve the nation’s financial literacy and education. 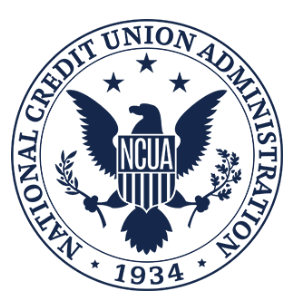 The National Credit Union Administration(opens new window) (NCUA) is the independent federal agency that regulates, charters and supervises federal credit unions. Learn about NCUA's share insurance coverage. The NCUA Consumer Assistance Center assists consumers in resolving disputes with credit unions and providing information about federal financial consumer protection and share insurance matters. If you have an issue with your credit union, we suggest you first contact the credit union to attempt to resolve the matter. Find an Answer View answers to frequently asked questions. World of Cents – Download the App A fun and engaging, kid-friendly game for ages 5 and up designed to help teach the value of money. Hit the Road – A Financial Adventure Take a virtual road trip cross country, but the journey is not easy. You must save and spend your money wisely. @MyCUgov(opens new window) Follow us. Stay up-to-date on consumer financial protection issues. You can search the Find an Answer knowledge base or contact the NCUA Consumer Assistance Center by phone at 800.755.1030 (Monday - Friday, 8 a.m. - 5 p.m. Eastern Time).